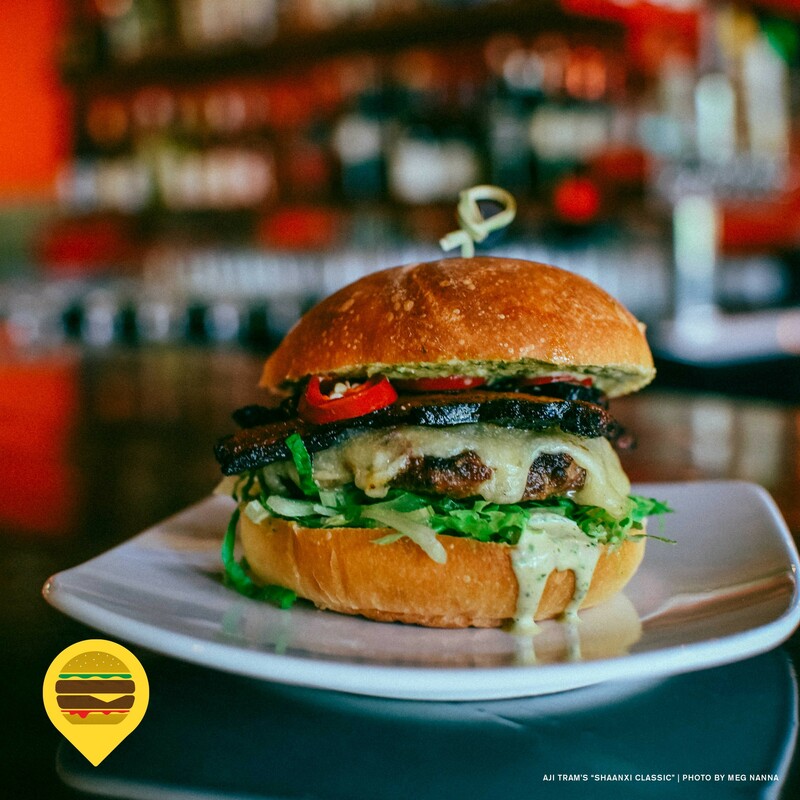 What's On It: Waygu ground beef patty with chopped pork belly, Chinese spices, cilantro aioli, lettuce, pickled chilies, and white cheddar on a grilled bun. What They Say: "In the Shaanxi province of China, the Rou Jia Mo is considered by some to be the world's first hamburger. This was our inspiration and our interpretation of this dish." The Fine Print: Gluten-free option available.